The Wine & Gold travel to the Hoosier State to wrap up their weekend back-to-back series tonight against the Indiana Pacers. 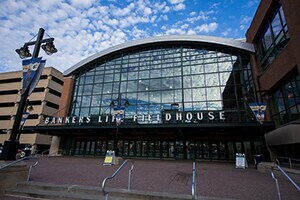 Tipoff from Bankers Life Fieldhouse is scheduled for 7:00 p.m. (ET). The Cavs will look to get the ball rolling again in Indy after dropping last night's matchup to the Washington Wizards, 119-106, in D.C. 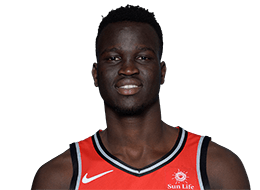 Despite the loss, Cleveland continued played well in the trenches, grabbing 52 rebounds, including 17 offensive boards. Over the last three games (since February 2), the Cavs have averaged 14.3 offensive rebounds per contest. 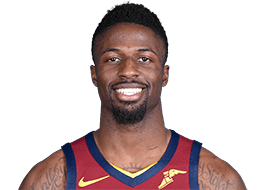 The Wine & Gold also shot well throughout the contest, connecting on 12 three-pointers and shooting .880 (22-25) from the free throw line against the Wizards. They have knocked down at least 10 field goals from long distance in 28 games and shot at least .800 from the charity stripe in 27 contests this season. 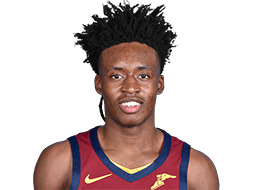 From a player perspective, Collin Sexton carried over his excellent 27-point performance from Tuesday's game against Boston by tallying another 27-point performance against Washington. The Young Bull was successful on 10-18 (.556) shooting, including 3-7 (.429) from three-point range. 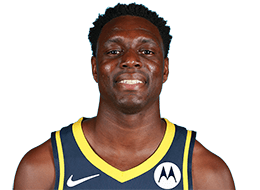 He also grabbed three rebounds and tossed four assists in 38 minutes at Capital One Arena. 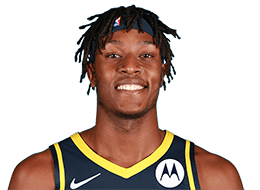 Sexton has now recorded 10, 20+ point outings this season. Jordan Clarkson followed the rookie's lead off the bench, pouring in 24 points, a 10-11 (.909) clip from the free throw line, six rebounds, three assists and one steal in 32 minutes. With his fourth field goal on Friday, Clarkson reached 2,000 made field goals in his career. He now has 17, 20+ point performances this season which is tied for the second-most among all NBA reserves. 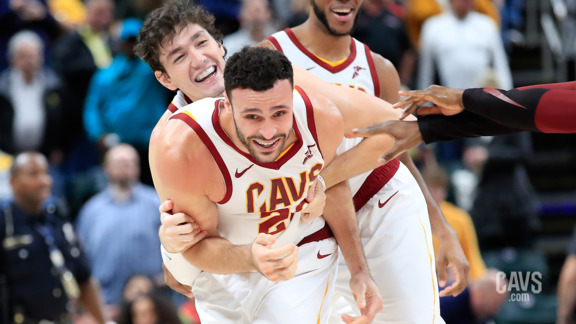 Larry Nance Jr., who knocked down the buzzer-beating shot the last time the Cavs played the Pacers on the road, also had a solid game on Friday. 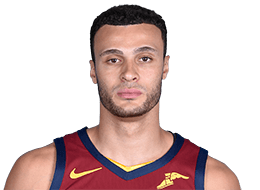 Nance Jr. has recorded a double-double in a career-best four consecutive games after tallying 10 points, a career-high 19 rebounds (career-best nine offensive), team-high six assists and game-high tying three steals in 33 minutes versus the Wizards. Cleveland will look to build off these positives tonight when they travel to Indy to take on a Pacers team that has won four straight games after dropping four in a row prior to their recent streak. During this run, Indy is averaging 114.0 ppg compared to their opponents' 95.3. Their biggest victory over the last four games undoubtedly came against the Los Angeles Lakers after they routed their Western Conference opponents, 136-94. The Pacers continued their roll against the L.A. Clippers with a 116-92 victory on Thursday night in Indianapolis. 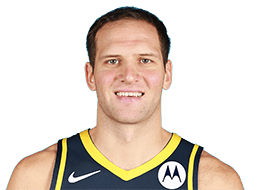 In that game, Indiana received a big performance from Bojan Bogdanovic who tallied 29 points on 12-19 shooting from the field. Cory Joseph also had a solid outing, nearly posting a double-double off the bench with 13 points and nine boards against the Clips. Tonight's game between the Cavs and Pacers is the fourth and final time these two meet this season. Indiana currently holds a 2-1 series lead. Programming Note: On Saturday, FOX Sports Ohio is airing the Blue Jackets – Golden Knights game (10:00 p.m.) and the Cavs – Pacers game (7:00 p.m.). To view channel information, CLICK HERE. 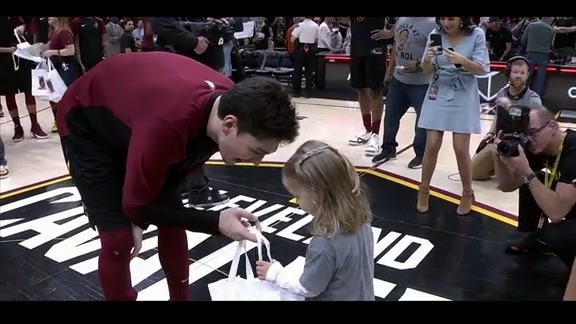 As mentioned, the Cavaliers and Pacers will round out their four-game season series tonight in Indy with Cleveland having the opportunity to bring the series to even. Each game this season has been decided by six points or less. When the Cavs and Pacers faced each other last month on January 8, Cleveland shot a season-high .539 (41-76) from the field, while also connecting on .448 (13-29) from three-point range and 20-23 (.870) from the free throw line. The Cavs also scored 72 of their 115 points in the second half, shooting 25-40 (.625) from the field and 10-18 (.556) from beyond the arc over the final two periods. In that previous meeting, Cleveland's bench was on top of its game, tallying 51 points to the Pacers' 34. The Cavs will look to mimic that same effort from their reserves as the bench bunch enters tonight's content averaging 43.1 ppg compared to Indy's 39.8. Following Saturday's road game against the Pacers, the Wine & Gold return to The Land to begin a five-game homestand beginning with a Monday night affair against the New York Knicks on February 11. The Cavs will then host the Brooklyn Nets the following Wednesday before taking some time off as the All-Star Break gets underway in Charlotte. 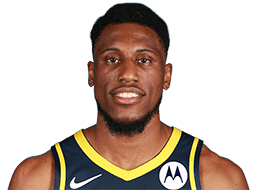 The Cavs resume play on Thursday, February 21 against the Phoenix Suns before rounding out their homestand with games against the Memphis Grizzlies (Saturday, February 23) and Portland Trail Blazers (Monday, February 25). Each game on the Cavs' upcoming homestand will tipoff at 7:00 p.m. (ET).